Biathlon is the trend sport number one. Uschi Diesl or Michael Greis: Their success awoke the enthusiasm for biathlon in many winter sportsmen and women. In the ARBERLAND the community can profit from this euphoria. You do not have to remain a spectator. 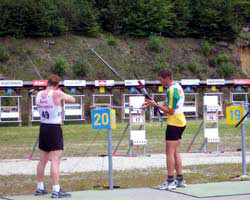 Where professional athletes make their best performance, amateur sportsmen and women can try biathlon and learn shooting yearlong under professional instruction of trainers. Is it the mixture between endurance and precision that makes this discipline that popular? 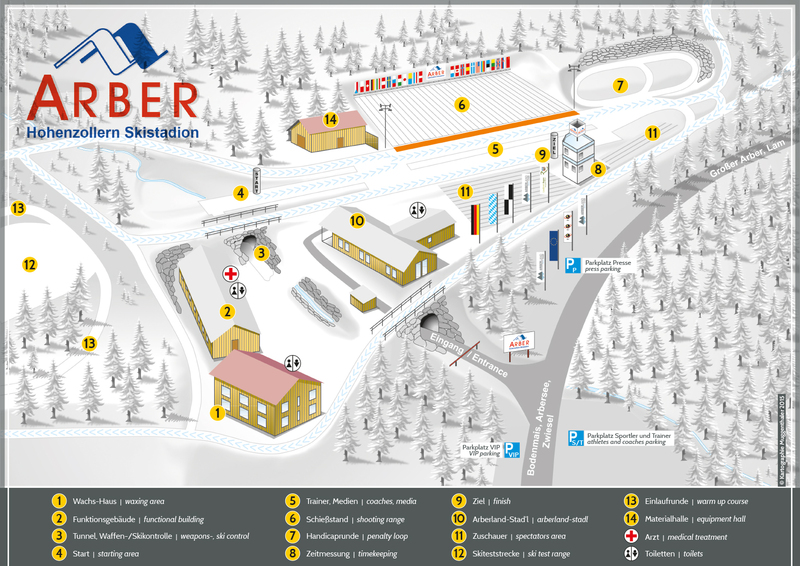 First you have to show your shape on cross country skis then you have to have a calm hand with raging pulse on the shooting stand – because of this biathlon is among sportsmen and women one of the most difficult disciplines. The dramatic art of the competition is raised again, because one miss in shooting can be the loss of the victory for the best athletes.